Available today after 1 p.m.
OEM Style replacement assembly is designed to fit your car exactly like the unit you are replacing. All o-rings, sealing washers, adapters and mounting hardware necessary for installation are included. To ensure the highest level of performance and long service life, Omega power steering hose assemblies are built and tested to the most stringent specifications in the industry, meeting or exceeding all OEM standards. 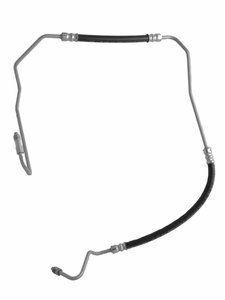 Omega has been manufacturing Power Steering Hose Assemblies in the USA since 1974, and continues to be the industry leader in quality, design and new item availability. A wide selection of reseal and repair kits for power steering pumps, gear boxes and rack & pinion units are also available.